I know how difficult it can be to eat healthy. Pre-packaged foods and bottled soda, despite being “diet foods”, just aren’t wholesome or healthy and often leave you hungry and craving even more. 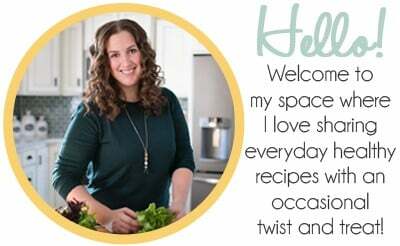 That is why I am so excited to share all of my favorite snack ideas with you. I have been working on ditching the Dew, so my new favorite go-to beverage is fruit infused water. 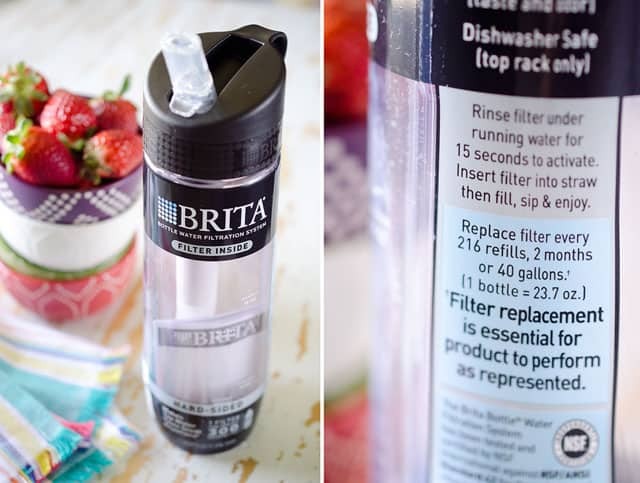 I picked up one of these Brita Bottle Water Filtration Systems at Walmart in the hardware section recently and it has been the perfect way to enjoy my fruit water when I am on the go. 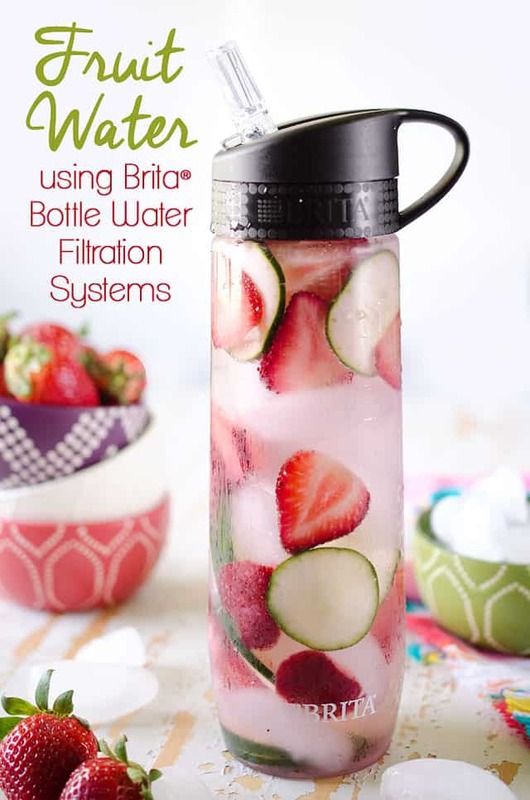 I add whatever leftover fruit I have on hand, along with some ice cubes, to this Brita bottle and I have a refreshing and delicious drink when I am in the car, at a softball game or just stuck at my desk working. It is so easy to mix up the fruits for a variety of flavors and the awesome filtration system keeps out all of the fruit seeds that are normally a hassle with fruit water. I consume the majority of my beverages while at my desk, but unfortunately the quality of water at work is bad to say the least. I just couldn’t get myself to drink enough water at work before because of the bad taste. I would have a bottle that would sit there for hours and get warm, but every time I looked at it, I turned up my nose at the thought of drinking that nasty water. This Brita bottle has been the perfect solution. 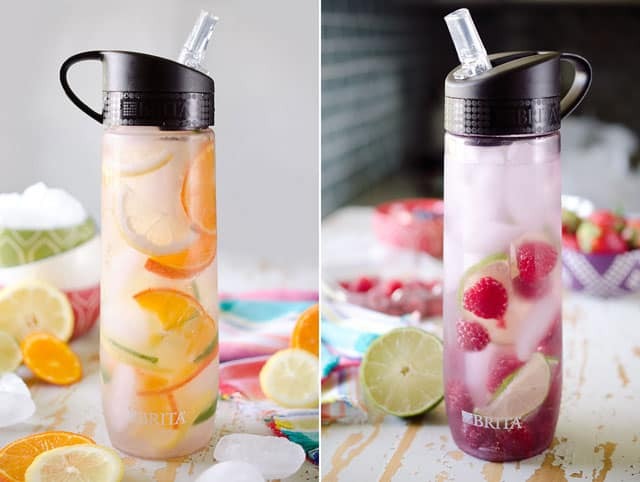 Whether I just want to enjoy some plain water, or throw in some extra fruit for infused flavor, it reduces the chlorine taste and odor, zinc, copper, mercury and cadmium. This makes it so much easier and enjoyable for me to consume my daily dose of water! Whatever combination you dream up, add just a little fruit to your bottle, along with some ice cubes if you like your water cold, screw on the cap and filter and you have a refreshing drink you will love! 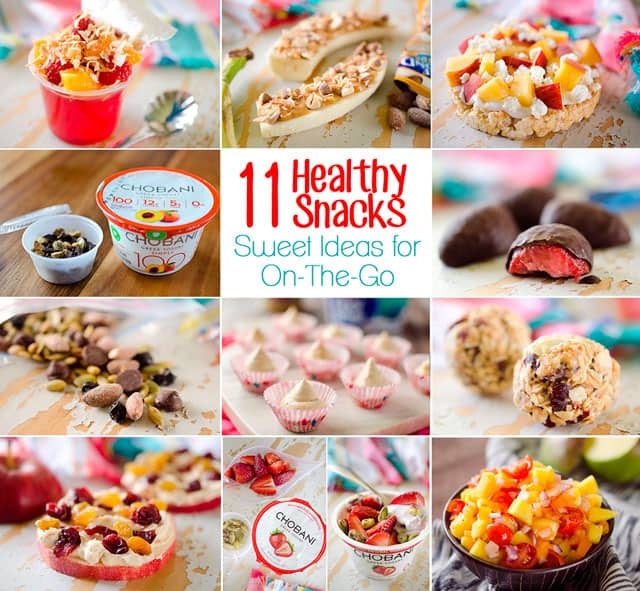 Looking for the perfect snack to compliment your fruit infused water? I have got you covered! 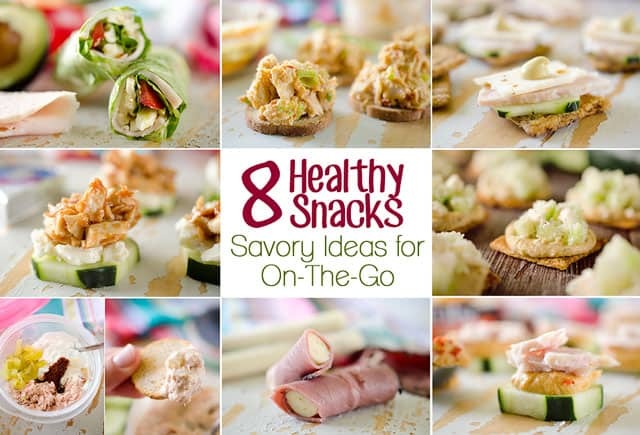 Check out these fantastic collections of wholesome and delicious snack ideas that are fast, easy and all under 200 calories! Be sure to subscribe to our newsletter HERE to keep up with all the new recipes! 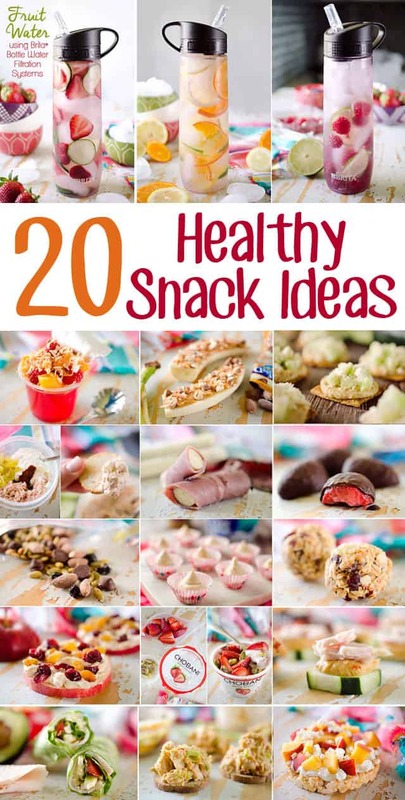 I love all of your snack ideas! 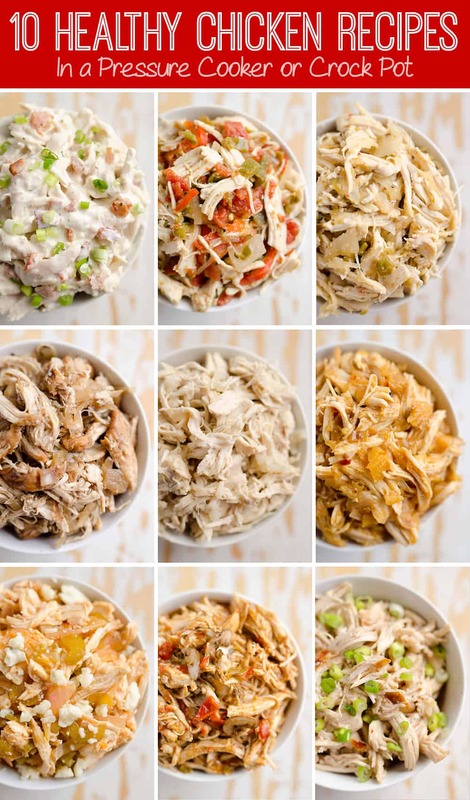 My friend and I are going to meal prep together and we are making a lot of these! I’m so glad you guys are going to give some of these a try!